Here are some great titles I turned to about thriving, parenting, mediation and more. 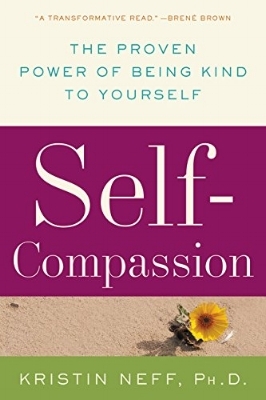 Kristin Neff is the foremost expert on self-compassion in Western psychology. Self-compassion is a Buddhist concept that has been shown in at least one study to be the single most important quality for positive divorce recuperation. Shane Lopez was one of my favorite people, a man I'd spoken to about resilience, courage, hope and more, over the years—without having ever met him in person. His book is a great look at the difference between wishing and hoping. Hope is a clear-eyed view of the gap between where you are and where you want to be, and then marshaling the energy to close that space. Shane talked about the need to sometimes create a “Meaning Plan B” in life. His thoughts run throughout Splitopia. This book is an overview of the last two decades of research on how people grow after trauma, and even after not-totally-traumatic but still life-shaking events. Joseph punctures the idea that all trauma leaves us scarred for life, and talks about his own slow realization that many people he interviewed after trauma shared similar experiences of new connection, clarity and spirituality. Barb Frederickson developed the “broaden and build” theory, which postulates that positive emotions increase our creativity, connections, and problem-solving skills, and build on themselves into an upward spiral of positivity. This book looks at the power of love in all its varieties. This is a great beginners guide to mediation. Lovingkindness mediation is a form that has been shown to be the best “gateway” practice for those new to it. This book helps you get started. Formerly the president of the American Psychological Association, Seligman is considered the Father of Positive Psychology. His books are clear, amusing and eye-opening. Learned Optimism explains the notion of “explanatory style” – how the way we explain good and bad events to ourselves affects our mood and the energy we bring to creating the life we want. This is a great primer for noticing and improving how you talk to yourself. This is the “bible” of the positive psychology movement, a must-read if you’re interested in identifying your signature strengths and crafting a life that lets you use them every day. I like this book because it’s well-organized and synthesizes much of the happiness research in a breezy way. Orlick coaches Olympic athletes on their mental game, which is as important for success as physical prowess. I’ve had this book for a dozen years and refer to it whenever I need a shot of optimism or grit. I also write about this book in my book, in the chapter on posttraumatic growth. Orlick’s ideas of using an illness, injury (or sadness) as a chance for reflection and reorientation really struck home as useful in divorce. Rubin’s latest book suggests that while people aren’t greatly different from each other, our little differences matter hugely, and knowing yourself is the first step to mastering habits you desire. Divorce is one of the best times to create new, better habits, and increase self-knowledge. I found this book uplifting and helpful. 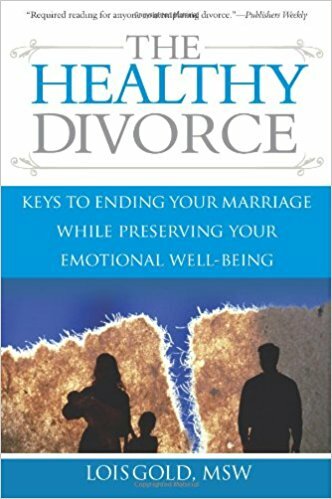 It has checklists and exercises for dealing with the emotions and some details of divorce. A first-person account by novelist Gabriel Cohen of his divorce. He went searching for company after his wife walked out on him, and wound up attending a talk on Buddhism. Many people told me they turned to this book for solace. I interviewed Pauline Tesler, a lawyer in the Bay Area of California, and one of the most passionate, articulate spokespeople for the need to change the approach of family law. Tessler is committed to teaching lawyers to help families in crisis restructure themselves kindly, using the research from neuroscience to back her belief that adversarial law is exactly the opposite of what people need during divorce. Perhaps the single best book for parents facing divorce, this is based on the principles of Sandcastles, a 3.5-hour, age-based workshop for helping kids aged 6 – 11 cope with divorce, mandated in counties across the U.S. Kids draw, write, play games and do role-playing with a group of other kids their own age going through divorce. The book has many of these exercises and an honest, supportive, utterly rational approach. Constance Ahrons’s book is the flagship book about having a positive parting. I interviewed Mark Banschick for Splitopia and found his insights and knowledge tremendously helpful, for the book and for my own family. Journalist Paul Raeburn synthesizes the research on the role of the father, looking at how our understanding of what a father actually does has evolved since the 1950s. I spoke to Paul for my chapter on children, as well as Michael Lamb, PhD, whose work he covers here. Being reminded that fathers play an important emotional and social role in the lives of their children can help both parents work toward more cooperation and inclusion. This is a somewhat older book, but it attacks the notion of the “deadbeat” dad and simultaneous fear that mothers slide into destitution, post-marriage. Braver chases down one spectacularly flawed, phenomenally-cited study largely responsible for overblown fears of poverty, post-divorce. I downloaded this from Sesamestreet.org, printed it out at work, and read it to my son, who was nearly six. He seemed reassured by this story of an only child whose parents now live in two homes because they’re divorced. I felt reassured. Seeing this experience normalized on a fuzzy animal-puppet-person made it easier to deal with for my son. This book is recommended for grades 4-6, but I read it, laughed out loud, and also was moved. The story is ostensibly about a lonely girl who befriends a super hero squirrel, but she’s lonely in the aftermath of her parents’ divorce. Anyone facing divorce will be touched by the reconnection between the girl and her father, and the recognition that they both are longing for more closeness, and can achieve it. This is probably the most well-known working-on-your-marriage books. It’s worth reading for insight about behaviors you may want to nix–or avoid in your next relationship. Gottman is one of the world’s leading researchers on marriage and on predicting divorce. Another go-to book about marriage and intimacy. Johnson takes an attachment-theory approach to intimate relationships, sharing Emotionally Focused Therapy. Johnson writes about reestablishing safe emotional connection and preserving the attachment bond. This book challenges you to look at whether you’ve over-focused on unmet expectations of your spouse and on your disappointments in your marriage, and consider if you’ve worked yourself up into divorce without needing to. I felt this book has a deep-seated, dogmatic, anti-divorce sentiment running through it, but if you’re willing to feel lectured at, it’s worth considering his concerns about taking a consumerist approach to marriage. I definitely did some of the things he worries about, and yet when I began not doing them, the fundamental incompatibilities between my husband and me still existed, and remained untenable within the construct of a marriage. I think this book offers good cautionary insight.